HECO values its established partnerships and looks forward to forging new business relationships. Our promise of quality and All Systems Go extends to every job we do for you. Using details from repair specifications provided by you or created by HECO, we identify the important elements and parameters for each individual job. Our goal is to understand what was the cause of the problem that resulted in a repair being needed. In many cases, we help our customers revise and develop improved standards for electric motor repair. 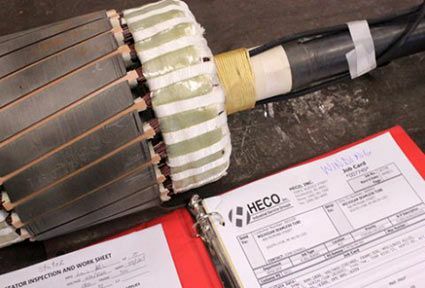 The "HECO Exception Report" identifies customer-specific requirements and documents any and all special requests—including particular technical standards and details that exceed HECO's already strict standard practice. Our technicians then use the report as a checklist to ensure the client's satisfaction. Our unique "Motor Repair Packets" contain guides and maps for inspecting/evaluating, testing details, and mechanical measurements for every electric motor type. These unique repair packets evolved over decades of repairing electric motors and solving our customers' problems. These documents undergo continual revision to provide the most up-to-date evaluation of every motor that comes through our doors. Our company was founded on the principles of problem solving, and we apply those principles in our "Cause of Failure Reports." Reports of this kind are generated for every electric motor and generator that comes into our facility. We dig deeper to find the root cause of the failure to prevent any further damage or related breakdowns. We follow industry standards for specific motor types. Our repairs meet or exceed EASA, IEEE, API, ANSI, NEMA, Vibration Institute, and ISO standards. Our repair process provides many quality checkpoints and employee sign-offs. We make sure that every step of the repair process is documented and meets our strict levels of quality. In the rare event that a quality issue arises, we implement "Non Conformances" and associated "Corrective Actions" to improve our processes, procedures, and overall quality. We refer to our final checkpoint as the "Green Tag." Prior to shipment, a green-colored tag is attached to every electric motor that meets our final quality check. 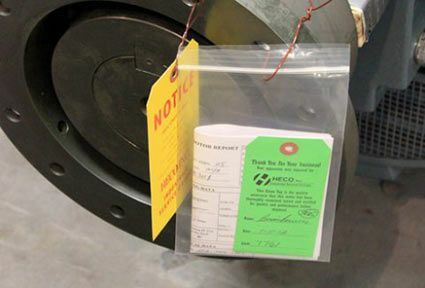 This tag ensures that electric motor test results have been verified and approved, and the motor is ready to be put into operation at your facility. HECO's "Green Tag" means your electric motor is guaranteed to run, and we back that promise with our industry-leading warranty. 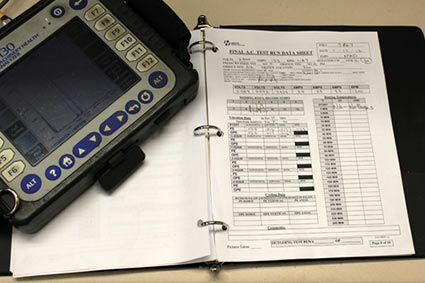 We maintain a strict instrument calibration system that meets or exceeds industry standards, following each manufacturer's suggested timeline for recalibration. This ensures that the readings our instruments give us are accurate and reliable. At HECO, we are not just another electric motor repair shop. We promise, All Systems Go.